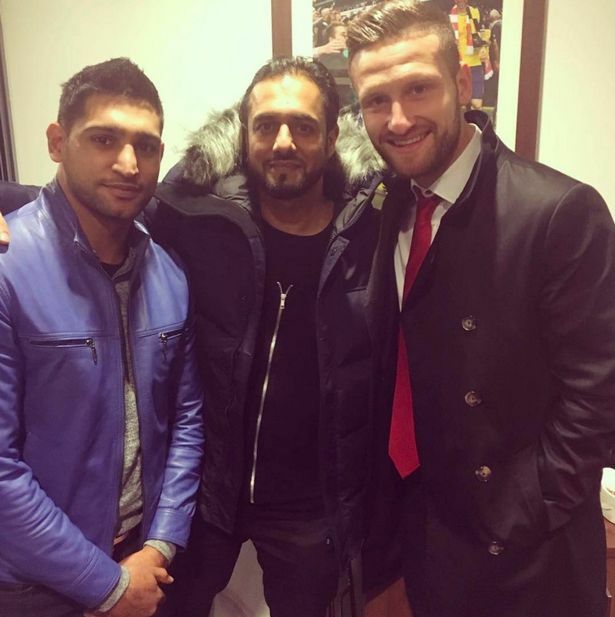 Amir Khan mistook Shkodran Mustafi for a security guard as he attended Arsenal's defeat to Southampton in style on Wednesday night. 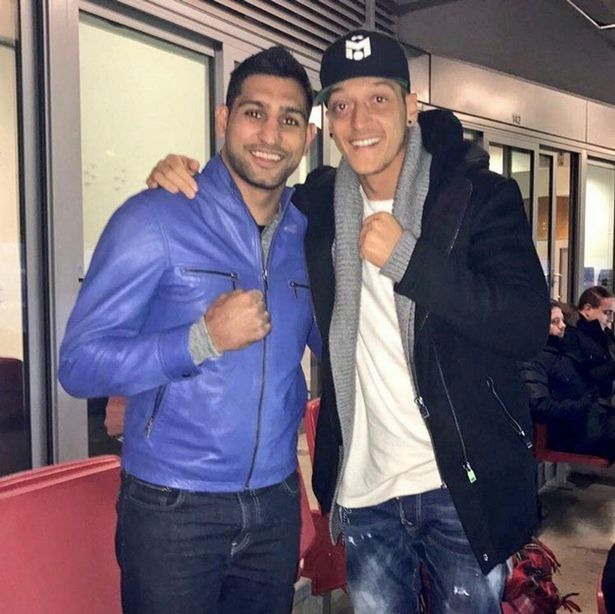 The Bolton-born boxer was joined by pals as he watched the EFL Cup quarter-final clash in Mesut Ozil's VIP box at the Emirates. Mustafi, who was rested for the match, was also in the hospitality section of the stadium but Khan blanked the German defender after wrongly thinking he was a security guard. Khan wrote on Instagram: "Good to see @skodranmustafi I walked past the poor guy thinking he was the security in the VIP boxes. My bad bro. I just come off a dubai flight." Khan, when he realised the Arsenal star's true identity, took pictures alongside him as well as Mustafi's club teammate and countryman Ozil.